Sunshine in a pie shell! Both tart and sweet, this pie is bursting with lemon flavor. Preheat oven to 350ºF. Combine crushed graham cracker, melted butter, and sugar in a food processor fitted with a steel blade and process until well blended. Press crumb mixture into a buttered 9" pie plate and bake for about 8 minutes. Remove from oven and place on a rack to partially cool. 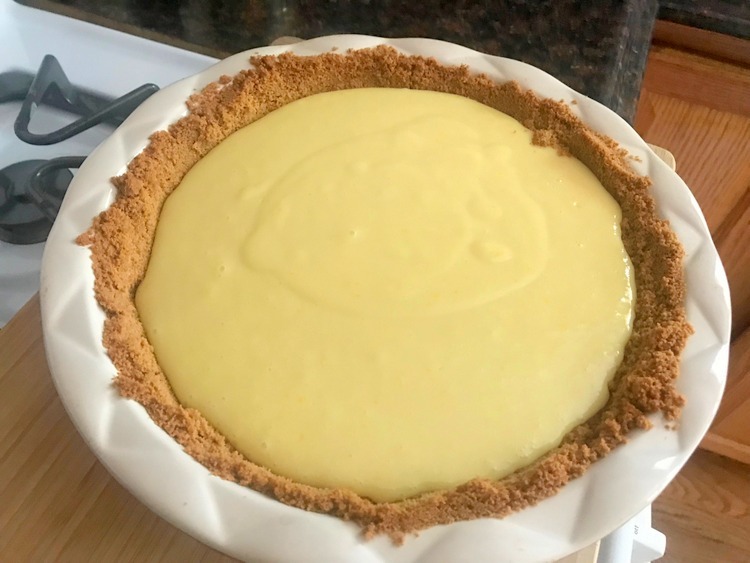 Using a stand mixer, beat the sweetened condensed milk, egg yolks, lemon juice and salt and mix well at medium speed for about 3-4 minutes. Pour the filling into the partially baked pie crust and bake for 10 minutes. Remove the pie from the oven and let it rest on the counter and cool to room temperature. Chill the pie in the refrigerator for 4 hours to set. Just before serving, beat whipped cream, sugar, and vanilla until stiff peaks form. 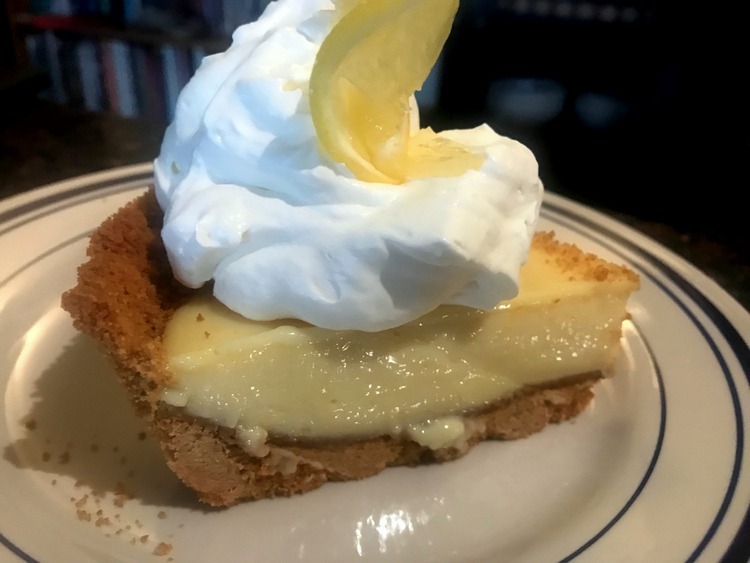 Serve the pie in slices with a generous dollop of whip cream on each slice and garnish with lemon zest or thin lemon slices if desired.